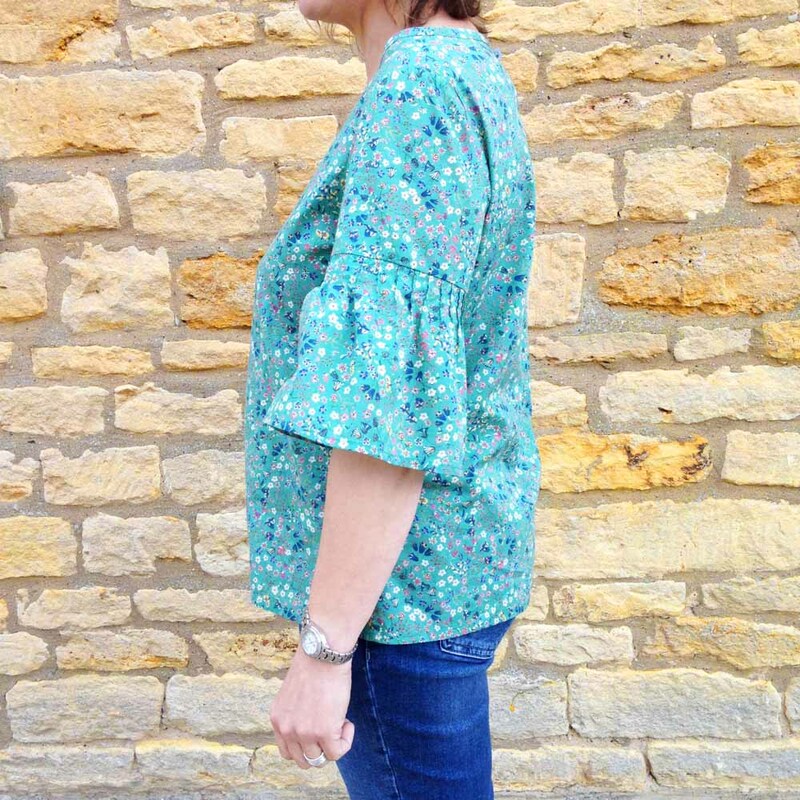 Sara from the studio has had this Beautiful Liberty Blouse made for her and I wanted to share it with you. 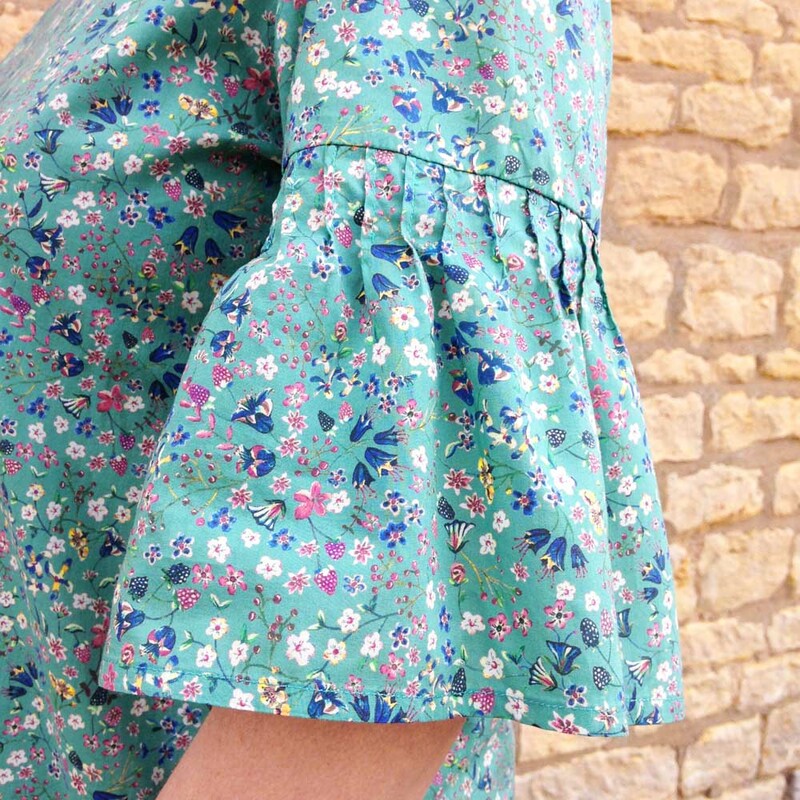 It’s a really sweet blouse and I especially love the sleeve detail. Sara said that she has always loved Donna Leigh and really wanted something made from it. She said “I have a blouse at home that I really love and wanted to replicate it”. Sara had the top made for her by a lovely local lady called Jill Mooney from The Sewing Room. She’s made it really well and Sara is really pleased with it. 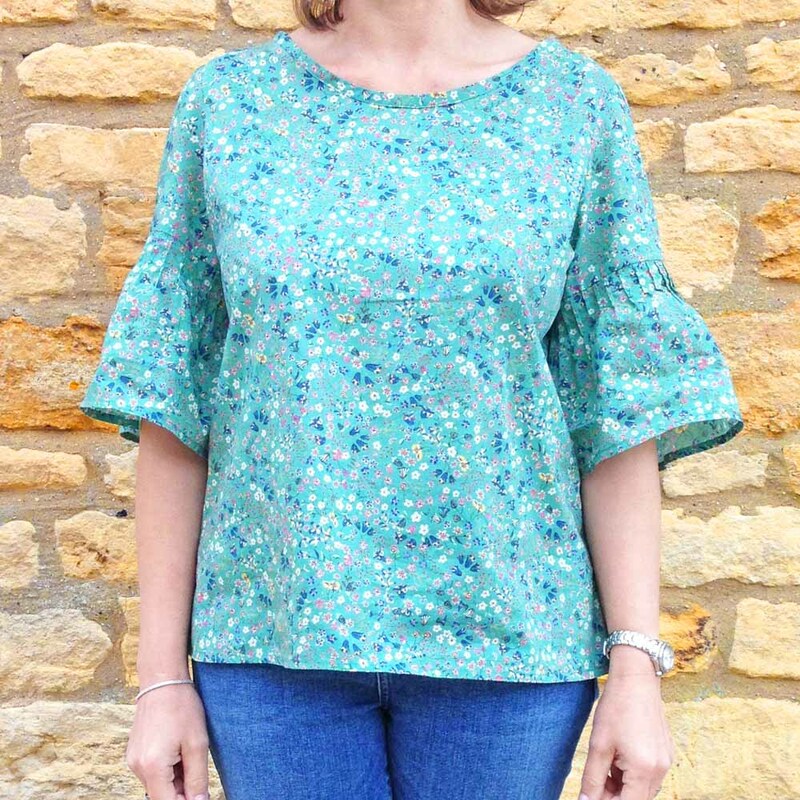 The fabric: Donna Leigh D CC is from the Contemporary Classics and is a really lovely pattern. It’s got sweet berries and flowers which are designed in such lovely detail. This fabric is inspired by a design from around 1700 by William Kilburn. He was an illustrator born in Dublin and hundreds of his water colour designs are now in the V&A museum. The flowers were hand painted with water colour. The dark background was added later to produce this favourite Liberty print. I love the attention to detail on the sleeve. Jill adapted the pattern from the original top to include tiny pleating on the sleeve which compliments the look of the top and fabric design. Both the style of the blouse and colours in the fabric match really well with a pair of jeans. There was a lot of ‘ooooing’ and ‘ahhhing’ in the studio when Sara wore it for the first time. If you don’t sew, choose your favourite fabric and find a local dressmaker to make something for you. You can then have a wardrobe which is individual to you.